There are plenty of ways out there to shorten video clips, many of which are free. However, using a robust video editing app like Adobe Premiere makes what can be an extremely tedious task really simple and speedy. With that in mind, here’s how to cut long videos into short clips using Adobe Premiere. Why Shorten Videos Into Clips? One of the most obvious reasons to cut a longer video into shorter clips is to share them on social media. 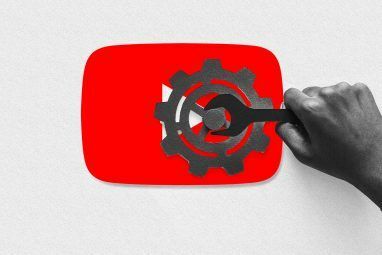 A shorter video is more likely to be watched, and, with Twitter in particular, you can’t upload anything longer than two minutes and 20 seconds. In fact, most popular videos on Twitter are far shorter. You may also want to shorten a long video to share on YouTube or via email. Rather than upload a long video and tell people to scroll forward to the exact spot you want to share, just cut it into bitesize clips instead. 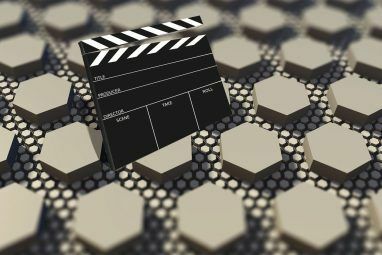 The process of splitting and exporting clips using Adobe Premiere is very simple, and the program makes it easy to create the clips and batch export them. If you need to create multiple clips, using keyboard shortcuts will make it easier to get into a rhythm with this kind of repetitive task, and you’ll find that it’s an essential part of your work flow. Before moving on to the first steps, make sure you also have Adobe Media Encoder CC 2018 installed. Open Adobe Premiere and create a new project. Give your project a name and choose where you want to save your Premiere file. For this type of project, the Editing Workspace is ideal. You can make sure you have the Editing Workspace open by going to Window > Workspaces > Editing or by using the keyboard shortcut Alt + Shift + 5. Next, you’ll need to import the video you want to use. You can do this by dragging the file onto the Project Clips panel in the bottom left corner of the program, or by going to File > Import and navigating to the file on your computer. Drag the video from the Project Clips panel to the Timeline. If you’re working with a particularly short video, you can drag the horizontal scrollbar beneath the timeline to make the video in the timeline appear larger. There are other things you might want to do like add subtitles, lower thirds, adjust the audio, add music, or color grade your videos using LUTS How to Use Lightroom Presets and LUTs in Adobe Premiere How to Use Lightroom Presets and LUTs in Adobe Premiere Making your photos and videos look consistent is easy to do by using Lightroom presets and LUTs in Adobe Premiere. Read More , but we would recommend doing all of this before splitting the clip up. 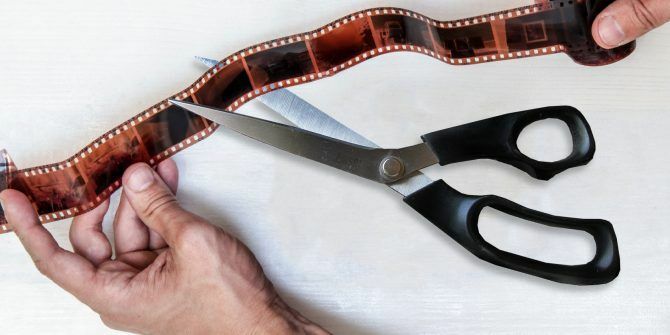 Now that you’ve got your video in place, you’re going to need to determine where you need to cut it into smaller pieces. You can scroll through the clip in several different ways. You can use your left and right arrows to scrub through the video. You can place your mouse over the blue current time indicator and drag it to the spot you want to clip. Or if you know the exact timestamps, you can enter them manually into the Playhead Position. Once the blue current time indicator is placed over the first spot you want to split your clip, go to Sequence > Add Edit or, better yet, use the keyboard shortcut Cmd/Ctrl + K.
If there are any snippets that need to be deleted or that won’t be exported, just click on them and hit Delete on your keyboard. Once you’ve split up your larger clip into smaller snippets, you can prepare them for export. You’re going to start selecting each clip individually using the Mark In and Mark Out feature, and then adding them to an export queue. You can skip back and forth to the beginning and end of individual clips using the up and down arrow keys. Move the cursor to the beginning of the first clip and Mark In using the keyboard shortcut I or by going to Markers > Mark In. Use the down arrow to move to the end of the clip, and then Mark Out using the keyboard shortcut O or going to Markers > Mark Out. You should now see that one clip highlighted. To add the clip to the Export Queue, go to File > Export > Media or use the keyboard shortcut Cmd/Ctrl + M.
In the dialogue box that opens up, under Output Name you should see the original file name. Click it to select your new file name and the location on your computer where you’re going to save the new file. Rather than just click Export and save each file individually, you can batch save them by clicking Queue. The Adobe Media Encoder will open up, where you can choose the rest of your export settings if you didn’t do that in the export window. For Format, I use the default setting H.264 and for the preset, Match Source – High bitrate. Go back to Premiere. If there are spaces between each of your clips, hit the down arrow on your keyboard to move to the beginning of the next clip. If there aren’t, you can skip to the next step. Again, mark in with the keyboard shortcut I, hit the down arrow to the move to the end of the clip, and mark out using the keyboard shortcut O. You should see the second clip selected. Repeat the export process: Use the keyboard shortcut Ctrl/Cmd + M, select the file name and location, and click Queue. You’ll see the second clip listed, with the same settings as the previous clip. Repeat the steps above with each of your clips, until all of them are queued in the Adobe Media Encoder. You can start the export process by hitting Enter or clicking the green Play button in the top right corner. If you don’t have access to Adobe Premiere, or find the program overwhelming, you can split longer videos into shorter clips using free software Best Free Apps to Trim, Cut, or Split a Video Without Installing Anything Best Free Apps to Trim, Cut, or Split a Video Without Installing Anything Trimming, cutting, or splitting a video file should be easy... and it is! Just use these free tools that don't require any installation on any platform. Read More on Windows, Mac, and Linux. Windows 10 users can opt for the native Photos app, while Mac users can trim clips using QuickTime. For a little more control, Mac users can opt for iMovie, one of the many apps Apple offers for free Download iMovie, GarageBand, Pages, and iWork Free for Mac and iOS Download iMovie, GarageBand, Pages, and iWork Free for Mac and iOS Every Apple user can now download Pages, Numbers, Keynote, Garageband and iMovie completely free of charge, but what are they good for? Read More . So if there’s free software already on your computer, why use Adobe Premiere? The robust video editing program can obviously do a lot more than just split longer videos into smaller clips. But even if that’s all you plan to do, Adobe Premiere offers a streamlined way to get all the clips created and exported in one fell swoop. With these free alternatives, it will be a far more tedious process, opening up the file over and over, trimming it, saving each file individually. 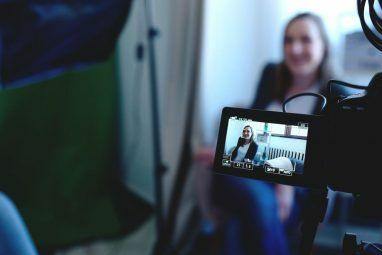 If you’re filming most of your video on your phone, you can opt for mobile apps that make it easy to create and edit video on your phone The 6 Best Free Video Editing Apps for iPhone and iPad The 6 Best Free Video Editing Apps for iPhone and iPad Looking to make some memories from media on your iPhone or iPad? Here are the best free video editing apps for iPhone and iPad. Read More , including Adobe’s free mobile video editor, Adobe Premiere Clip. Explore more about: Adobe Premiere Pro, Online Video, Video Editing. adobe? well, it is too professional for me to operate. As for me , i prefer to use Wonderfox HD video converter factory pro to do entry level video editing. The best advantage is that it is easy to handle.